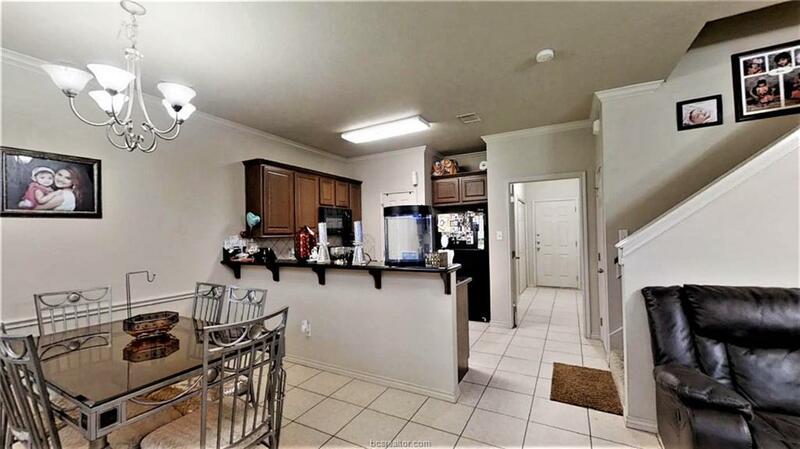 Three bed, three bath Gateway Villas condo located just minutes from Texas A&M and convenient to Blinn College boasts granite counters in kitchen, private bathrooms and balconies. 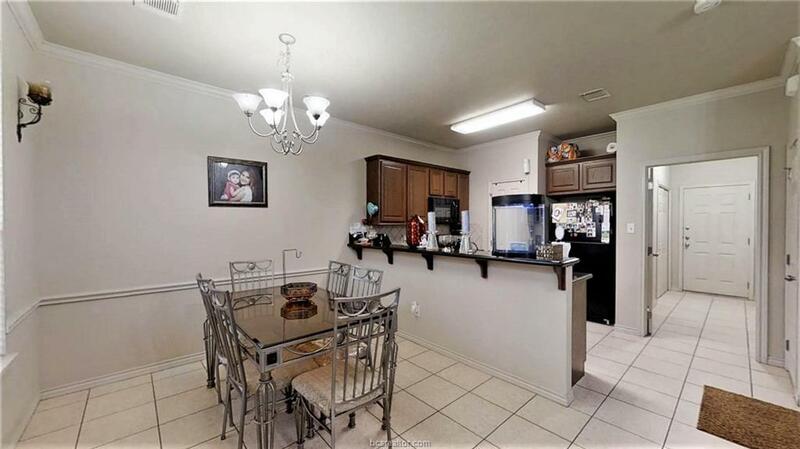 Kitchen is open to living and dining with eat in bar, dishwasher, electric range and vent hood/microwave plus great pantry! 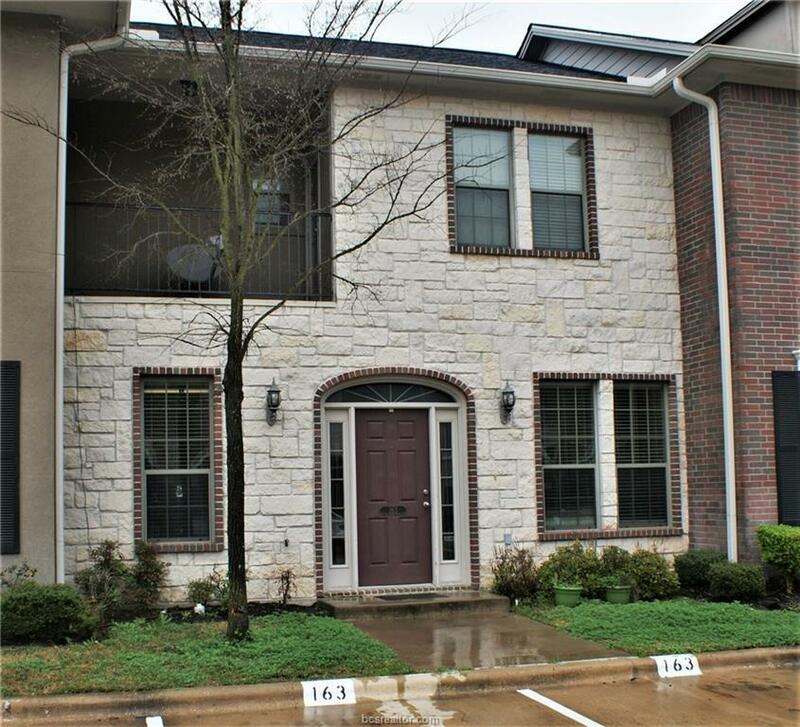 In unit laundry and open concept living make this an amazing opportunity to own your home here in Aggieland. Complex offers swimming pools, super convenient location to shopping, restaurants including Starbucks, Panera and more. 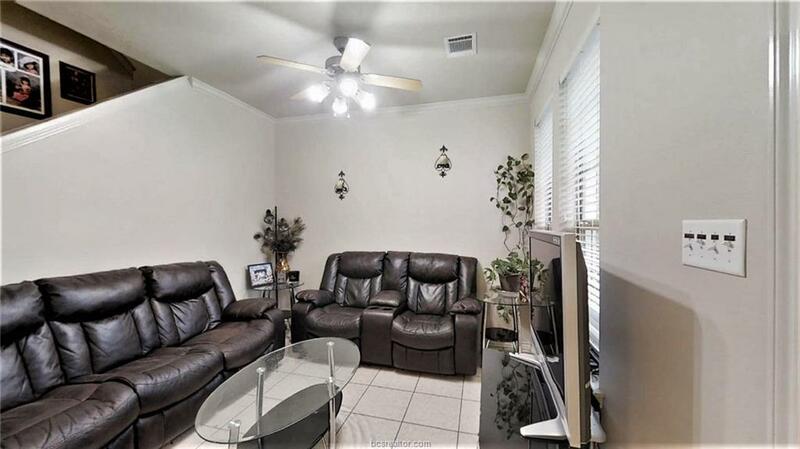 Leased through July 2019 at $1125/month. Listing information © 2019 Bryan-College Station Regional Multiple Listing Service. Listing provided courtesy of Jodi Warner of Century 21 Beal.